We can't reproduce this... Looks like somehow CDN got corrupt for you - we'll see what can be done. I'm still getting the same error. Is there another way I can get this file from you? 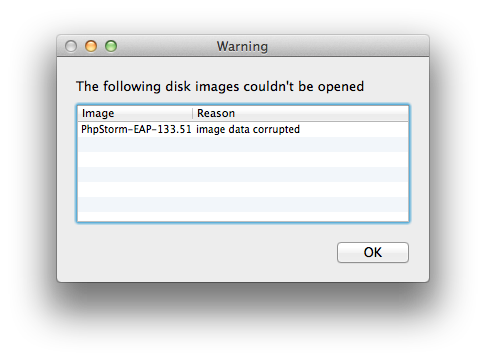 I have also been experiencing this same issue with PhpStorm EAP 133.51 in Australia. The problem is as reported across various ISPs and on Mac OS 10.8x and MacOS 10.9.x computers.